Federal agency leaders are innovating at an unprecedented pace. Strategies such as shared services, advanced analytics, cloud-based computing, and digital services are increasing efficiency and effectiveness. Even so, it's imperative that such innovation be accelerated and expanded… Yet when looking to the opportunities on the horizon, along with the ambitious goals of the President’s Management Agenda, it’s imperative that innovation be accelerated and extended, and ultimately translated into public value and impact for citizens. To help federal leaders improve and expand these strategies, the Technology and Entrepreneurship Center at Harvard, Leadership for a Networked World, and Booz Allen Hamilton are convening senior-most leaders for The 2015 Federal Leadership Summit: Innovation with Impact. 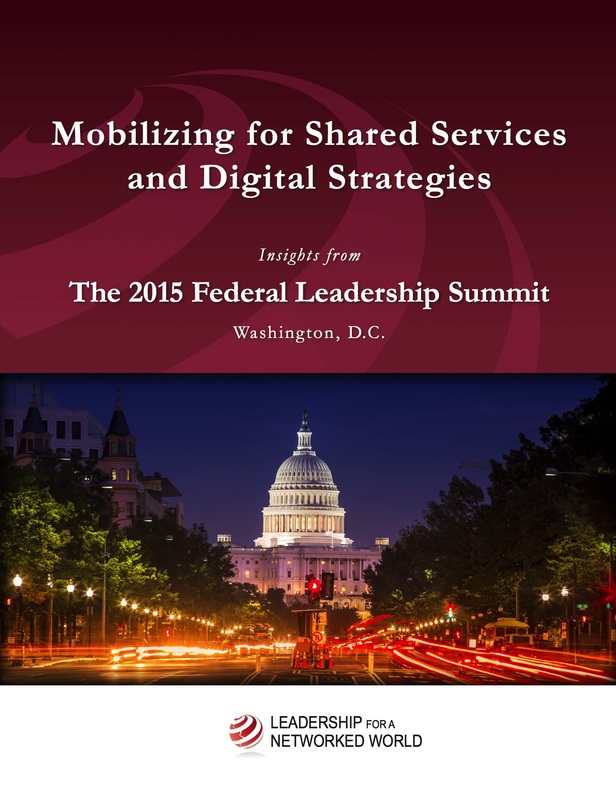 This invitation-only Summit, to be held at the American Institute of Architects in Washington D.C. on February 26th and 27th 2015, provides an opportunity for candid collaboration with federal peers, Harvard faculty and researchers, and select industry experts on the future of federal shared services and digital strategies. The Summit is designed as a practical workshop, in which case studies, peer-to-peer problem-solving sessions and plenary sessions will be used to drive real progress on key initiatives. Participants will leave the Summit prepared and poised to lead their organizations confidently toward the future of shared services and digital strategies. Imagine how the federal government would operate—and what it could accomplish—if it were equipped to thrive in the 21st century. It would draw on predictive power, agile operations, and on-demand services to respond swiftly to citizen needs. It would leverage seamless shared services and robust data and analytics to deliver the outcomes they demand. And it would possess a dynamic culture that embraces technology, innovation, and continuous improvement to help the country respond to new challenges and opportunities. In short, a more modern and innovative federal government would be in a position to help the United States continue to flourish in an ever-changing world. To help federal leaders work toward this vision, Leadership for a Networked World and the Technology and Entrepreneurship Center at Harvard, in collaboration with Booz Allen Hamilton, convened senior-most leaders for The 2016 Federal Leadership Summit: Harmonizing Data, Shared Services, and Culture. Held at the American Institute of Architects in Washington, D.C. on March 3 – 4, 2016, the Summit provided an unparalleled opportunity to learn from and work with federal peers, Harvard faculty and researchers, and select industry experts on methods for adapting organizational culture to a new era of data-intensive government. Federal agency leaders are innovating at an unprecedented pace. Strategies such as shared services, advanced analytics, cloud-based computing, and digital services have increased efficiency and effectiveness. And yet, when we considerthe largely untapped potential of shared services, new opportunities for digital transformation, and fulfillment of the President’s Management Agenda—especially per the DATA Act—it becomes clear that agency leaders must mobilize for the future of such capacity-building models and initiatives.